The federal government’s attempts to manage the wolf population in the northwestern United States over the past 20 years has been at best unpredictable and at worst atrocious. To scientists, repopulating a community that was both in danger of extinction and crucial to the ecosystems was essential; to citizens who lived in the areas, it was reprehensible and irresponsible; to both dreamy eyed nature lovers (many of whom have never even seen a coyote, let alone a wolf) and conservationist groups isolated in coastal cities, our country was finally being responsible in helping these majestic creatures back into their rightful domain. The vigor of each group’s rallying cry was intense. That was expected. But what was unexpected was how successful the reintroduction would be. And as the reintroduction’s success grew, so did the passion of each group. 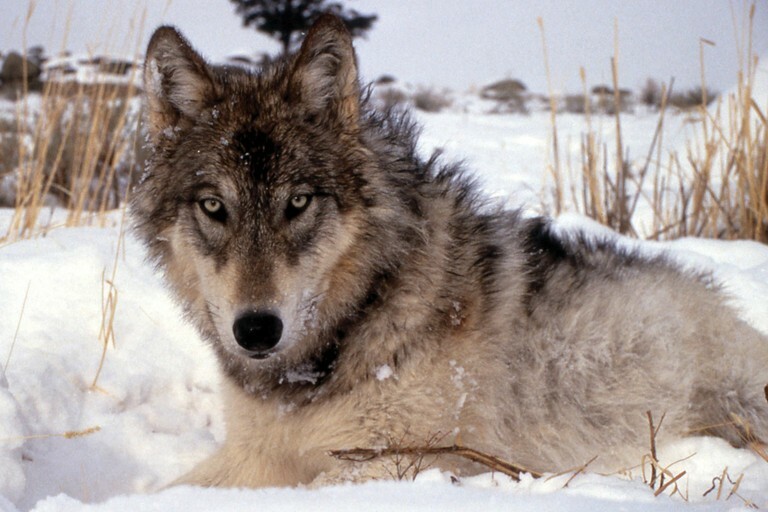 Twenty years ago, the country’s gray wolf population dwindled low enough to find itself on the federal endangered list. 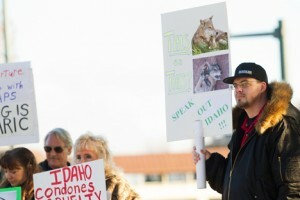 In response, Idaho, Montana and Wyoming, aided by the government, began a reintroduction campaign to save the species. Not only was this campaign essential to save the species, but unknown to many, it was essential to save Yellowstone National Park. With all gray wolves killed within Yellowstone by 1926, and all hunting eradicated, the elk population boomed. The only predators left for the elk were Mother Nature herself and grizzlies. This resulted in the ecosystem being grossly unbalanced. The elk overgrazed vegetation, which caused upland aspen and riparian cottonwood plants to be put in danger. The coyote population exploded with the absence of wolves. While coyotes were unable to regulate the elk population, their booming numbers resulted in the diminishing of smaller mammals. They feasted on red fox, domestic sheep and pronghorn. In 1974, the reintroduction of wolves was set in motion. But it worked too well. Now there are far too many wolves for comfort in the area, putting livestock, rancher livelihood and family pets at risk. At first glance, it doesn’t seem misguided: In Montana, that “ideal” is about 500. According to an article in The Missoulian, achieving that number would mean the extermination of approximately 400 wolves. Yes, that’s a lot of wolves. But if we reintroduced them to rebalance the ecosystem, we must once again meddle with nature in order to rebalance it yet again. It’s why we have deer hunting season in the north east. And even though “Montana’s wolf hunters and trappers killed 36 percent more animals in the season that ended last week [February 28, 2013]… Montana Fish, Wildlife and Parks Director Jeff Hagener said the state’s wolf population still remains robust.” In other words, the job’s getting done and the balancing is working. The Wildlife News reports that the year-end population of Idaho was reduced by 11% during this season, but the death of livestock had increased. This can partly be attributed to the indiscriminate killing of wolves. See, wolves and wolf packs are complex. If a pack’s leaders are killed, their less experienced offspring will be forced to feed themselves, choosing more often than not to eat prey that’s easy to catch. Like livestock. It’s a major problem with the system of “management” employed by the states. It’s also a sign that the government doesn’t really know what it’s doing. We hunted wolves because they were killing livestock. And we brought the gray wolf to the brink of extinction. By removing the gray wolf from Yellowstone, the balanced ecosystem in Yellowstone went out of balance. 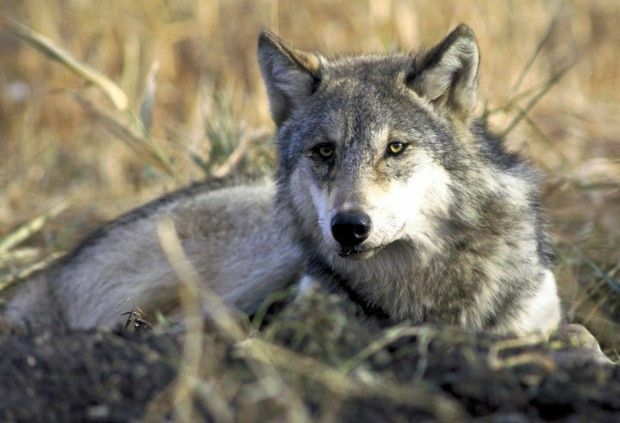 In order to re-balance Yellowstone’s ecosystem, we reintroduced wolves. The reintroduction went so well that it spread outside of Yellowstone’s borders because, well, wolves don’t understand park boundaries. This began causing massive heartache for residents as livestock were killed, their livelihoods threatened and domesticated pets eaten. Yes, eaten. That means little Sparky was ripped to shreds, picked to the bone and you found his carcass in your backyard. In order to reduce the overall impact of wolves and manage their population, we began hunting them. However, wolves are social creatures and live in packs. By indiscriminately killing them, the death of livestock actually rose. Our entire plan of managing the wolf population to ease the lives of residents backfired. Once again, by meddling in nature, we are causing unforeseen consequences. Conservationists were up in arms the minute wolf hunting was permitted. But now, they actually have a point beyond starry eyed idealism: To help hunters in Idaho, Montana, and Wyoming reduce the wolf population to a degree the government would be happy with, they’ve begun allowing for wolf traps to be laid. This has helped increase the death toll on the over-abundant animals. But once again, there are consequences that extend beyond wolf management. Many of them were released, though who can say what kinds of life-threatening injuries they carried with them when they were let go. I can only assume that most of these unlucky critters, with their appendages broken or mangled by traps not intended for them, led very short lives after release, quickly succumbing to inevitable and painful death. Other groups are less worried about the detainment and death of innocent wildlife and more worried about the cowardice of trapping a wolf and shooting it while it’s snared. The website Howling for Justice has posted numerous videos and statements decrying the inhumane treatment of the wolf population in Idaho. And if the comments users post on their site is any indication, they’re not alone in their outrage. The fact is wolf management is necessary. As the human population grows and expands, we need to manage the world we live in. The problem is, as I see it, those conservationists don’t grasp the impact. My wife and I live in Louisville, CO now. We have tons of open space in our little suburb. It is a perfectly designed suburb with acres of parkland. Overhead, hawks and eagles soar, scouring the grassland for snakes and rabbits. And across the open spaces roam rabbits, squirrels, prairie dogs and coyotes. But do you know what else roams these open spaces? Our dogs. Our children. Our homes back to this wonderful park land. And as coyotes, which are significantly smaller predators than wolves, continue feasting on domestic cats, squirrels, rabbits and prairie dogs, they become more accustomed to us humans. And our dogs. Last week, a brown lab was found dead 10 feet from an owner’s backyard. A few days ago, a friend’s dog was encircled by coyotes in his own backyard. They were nipping at him. Waiting for the opportunity to strike. The only reason the dog didn’t die is that the owner saw what was going on and scared them away. This is the life we chose. But I for one feel that conservationists who only see our National Parks from their cars, should learn to walk in our shoes for a little while before passing judgement. But now, with trapping permitted, hunters have justified the rallying cry of conservationists. The government and scientists reintroduced wolves to balance our ecosystem. They were happy. Conservationists were happy. Citizens of the area were not. Wolves overpopulated. Conservationists were happy, as drive by National Park tourists got to see them. Citizens of the area were not. The government and scientists were not. We introduced hunting to manage wolves. Conservationists were unjustifiably up in arms. Citizens of the area were happy. The government and scientists were happy. We couldn’t hunt enough of them, so we started trapping them. Conservationists were rightfully up in arms. Some citizens of the area were happy while others up in arms. The government and scientists? That’s yet to be seen. And that’s the crossroads were at now. How will our government and the scientists respond? My opinion is that we need to rethink our strategies and come up with a way to protect both the wolf and the environment around the wolf. And then the government needs to practice some transparency with its actions, making us understand the precise consequences of the course it takes for enacting such protection. Unfortunately, the last 20 years clearly demonstrated that even the government doesn’t understand the consequences of its attempted conservationism. And that is the ultimate problem. I understand the need to keep the wolf population under control for the reason mentioned. But there must be a more humanistic approach to do this. 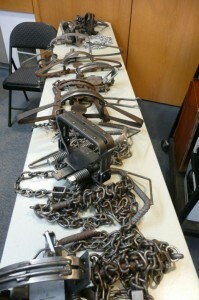 Setting traps is a slow, painful and agonizing death for any animal. There is nothing that can justify this treatment of any animal. Thank you Perry for a very well written, informative article. So….help me understand a little better. We began killing wolves because they were killing livestock, hurting people’s livelyhood and killing their pets?? Are there no other ways the ranchers can deter wolves from killing livestock besides exterminating as many wolves as they think necessary? Electric fence, higher fence, etc? How about….if they have to kill, doing it more humanely than horrible traps and shootin sprees? How about being responslble pet owners by protecting and keeping track of their pets in territory where there obviously could be face to face encounters with wild animals? I am so glad I’m a vegetarian and don’t contribute to the livelihood of these freaking, self serving, self focused ranchers. Sorry, I have no patience with people that see only their side to the point of a “just kill them” mentality. What’s happening in Montana is totally sickening. How about discussing better options? Thanks for sharing your thoughts. In short, yes, that is why we began killing wolves back when settling the wild west. I do know that other methods of wolf deterrence have been tried with various degrees of success, including playing aggressive howling from speakers on your property. This makes the wolves believe another pack lives in the area and will, theoretically, stay away. I 100% agree that trapping wolves is the worst method of population control. It’s cowardly and cruel. In theory, I personally am not opposed to regulated hunting of wolves. However, wolves aren’t deer. By killing off pack leaders, we are clearly magnifying existing problems and creating new ones. It’s not always that straight forward regarding your pets. I’m not sure where you live, but here in Louisville, CO, we deal with a wide range of wild animals. Just down the street in Boulder, it’s very common for a mountain lion to be found in someone’s back yard. Last summer, a coyote attacked a toddler who was with his mother. The coyotes here have become so accustomed to us and unafraid of us, that they are attacking humans and pets in ways they wouldn’t dare do a few years ago. I wish it was as simple as you suggested. The fact is that it’s not. And that’s the whole point of this article. Nature and our interactions with it are too complex for standard regulations to effectively manage. Perry, thank you for your reply. I have read many articles regarding views and experiences from both sides….the ranchers and the conservationists. Believe me, I try hard to understand that each side has very valid arguments. But, my experiences with people have awakened me to the fact that extermination, without regard to possible negative effects, is their solution of choice. So, we’ve killed off many wolves and the rancher’s cattle deaths have increased, our ecosystem gets unbalanced and many animals, including wolves have suffered horrible deaths. Hmmm. That’s why I asked above that other options need to be looked into. I like the idea of the howling noises! Interesting. Certainly, with our technology we can figure out something. The problem with the rancher’s and many other people’s mentality is, ” I don’t care. Just kill them”. How about we take a step back, realize the plan isn’t working, and find a better way. I agree hunting can be a good way to control overpopulated wildlife if planned appropriately. More time needs to be spent and research needs to be done to find better methods that work instead of random killing. I don’t like killing anything, but open to understanding the needs of both sides involved. You and I are neighbors. I live minutes from you. I understand the threat here that wildlife poses to pets and people. But again, there’s an ignorance here that says “I don’t care. Just kill them. I shouldn’t have to change my ways”. Even after my friend had 3 bears….mom and 2 cubs….in her cabin that I helped shoo away, she still has bird feeders and pours bird food on her porch for the birds. I have lectured her and have given her books to read, and so far no change. Many others here in Colorado do the same. They leave pets unattended, pet food outdoors, feed wildlife, do not place trash in proper receptacles, doors and windows are left unlocked and even open, and we wonder why have wildlife problems. Hmmm. Killing is sometimes justified, ignorance is never. If people don’t do everything possible on their end to decrease the need for killing wildlife, then we’re doing an injustice to our beautiful animals. Many times, here, were we live, we, the people have created the problem that our wild animals are a threat to our pets and children. Sorry, Perry, for writing so much! I just feel strongly that we need to realize a change is necessary when something isn’t working well, continue a search for better solutions, or perhaps it’s us humans that need to change. Thank you so much for your time and response. I’m very much enjoying all your articles and Glacier web site. 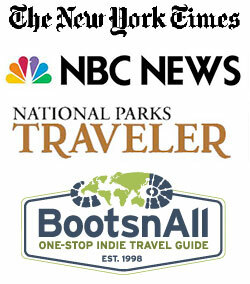 I’m off to Alaska next week and then I’ll begin planning my trip to Glacier National Park. Thank you for sharing your thoughts, Mary! I really appreciate any readers sharing their opinions here. It is indeed a tumultuous subject and you expressed your opinions gracefully and clearly. That is absurd re: the friend and the bird feeder.